Familial Canine Dermatomyositis: a Breeder’s Nightmare, Nancy Kelso, D.V.M. 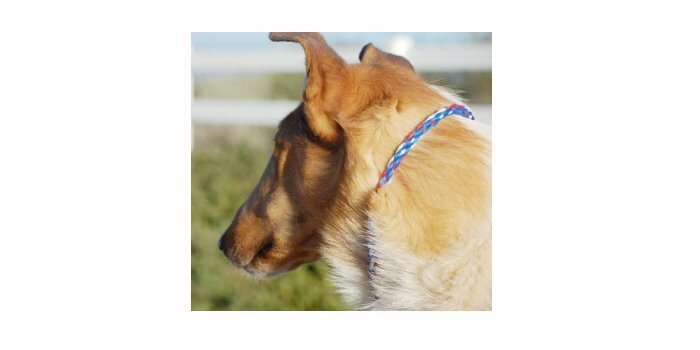 line, the collie breed and support research. Clinical Appearance: Dermatomyositis is a hereditary condition of the skin and muscle, resulting from an unknown inflammatory process. It is primarily observed in young dogs. 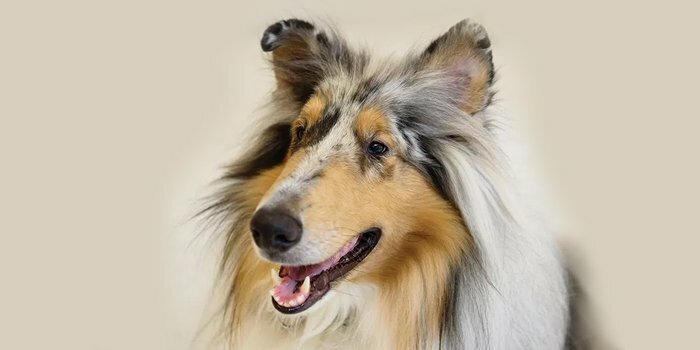 Initially confirmed in Collies, Shetland Sheepdogs, Beaucerons, and Corgis, the list of affected breeds and their crosses continues to grow. Skin lesions usually occur early in life, and may appear as young as seven to eleven weeks of age, but typically by six months of age. The progression of the disease is variable. It usually reaches maximum severity by one year of age. Since the progression is variable, some mildly affected dogs have few lesions, which heal rapidly, without scarring. The extent of the skin lesion is usually known by one year. It is less common, but not unheard of, to start in adulthood. The skin lesions are most prevalent on the face, legs (boney prominences), tail tip, and ear tips. Most commonly, hair loss, redness, scaling, crust formation, and vesicles (a type of red bump or bubble on the skin), are seen. Skin erosions, ulcers and scars are seen in the more severely affected dogs (See photo). For most puppies, signs of the disease improve spontaneously and are self limiting. Some puppies are so mildly affected, and briefly, that their owner may fail to recognize a problem. In addition to the skin lesions, some dogs also suffer from myositis (inflammation of muscle). Myositis typically occurs after the skin lesions are recognized, and the severity correlates with the severity of the skin disease. Mildly affected dogs may have no clinical muscle disease, of asymptomatic muscle loss (especially on the face). The myositis can be minor. Only muscle biopsy or electromyography can detect the muscle condition. It can be so severe, that it causes muscle wasting, difficulty eating, drinking, and swallowing. Life threatening secondary pneumonia, or megaesophagus (a flaccid, non-functional esophagus) can result. Some severely affected dogs will have a high stepping gait. The cause of dermatomyositis is unknown, but may comprise of a complex process, involving heredity, the immune system, and other internal and external factors. Dermatomyositis (DM) has a definite hereditary component. Some believe it is autosomal dominant with variable expressivity. 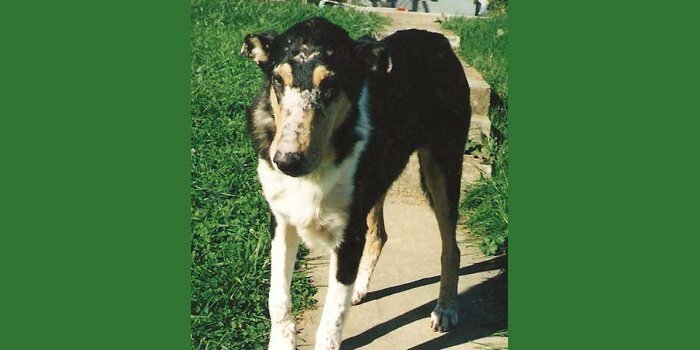 This has been shown in Collies and Shelties. The genetics of the human version of this disease, and other breeds, is yet unproven. DM is believed to be affected by infections (viral particles have been recovered), and an immune-mediated process. It is unclear whether the immune reaction causes all the changes, or is a response to some preexisting skin and muscle pathology. The challenge to the breeder is that, although believed to be autosomal dominant, the disease seems to appear out of no where. A family line may have no known problems, until it suddenly appears in a litter. The problems may be with the variable expressivity. It is likely that many dogs in the pedigree may be so mildly affected, that they go undiagnosed. The lesions may be so minor, that the owner assumes trauma. A veterinarian will commonly skin scrape and do skin cytology, and find secondary demodex or bacterial infections (pyoderma or staph infection). The lesions often spontaneously resolve. The breeder continues on with the dogs for future breeding, but this dog is dominant for DM. Now comes the dilemma. Do we biopsy every skin lesion in a dog less than one year old? This isn’t practical, and the biopsy has the potential to leave a scar, but unfortunately, this is only way to confirm the diagnosis. The diagnosis of DM can only be confirmed by histopathology (biopsy) and electromyography. The ideal biopsy is done of a new lesion, not old scarred areas, and after the treatment of secondary bacteria and demodex. The biopsy must be sent to a pathologist skilled in dermatology. Electromyograph is a study of the muscles, done under anesthesia to confirm if there is muscle involvement. Some cases of DM spontaneously improve, so that all the therapies must be based on the individual dog, their veterinarian, and dermatologist. Vitamin E and Omega three fatty acids are often recommended for their natural anti-inflammatory properties and decrease scarring. Avoiding trauma and sun exposure are important to allow healing. Some dogs require no treatment, others require temporary treatment, and others require life long treatment. Occasionally, a dog may be so severely affected, that despite treatment, humane euthanasia is elected. Some veterinarians and dermatologist use glucocorticoids (steroids such as prednisone), during exacerbations. Others disagree with steroid use. Regardless of your veterinarian’s or dermatologist’s opinion on steroid use, steroid therapy must be used cautiously. Steroids can potentially worsen muscle atrophy, and secondary infections, such as bacterial infection and demodex. name may be more effective. Three times a day dosing achieves optimum levels, although twice a day dosage usually has better owner compliance. It may take a month before the success of treatment can be accessed. Adverse effects of pentoxifylline are not commonly observed, and may be dose related. Nausea, vomiting, diarrhea, and neurologic disorders are reported in humans. No drug is FDA approved for the treatment of DM. There are many unanswered questions on dermatomyositis. A breeder must be extremely observant, and pursue quality diagnostics to assure that even minor cases of DM do not continue to reproduce. Collie breeders must openly share their knowledge of affected dogs, and not leavequestions open to gossip. No single dog is to blame for the disease. We are all in this together. Ferguson EA, et al: Dermatomyositis in fIve Shetland sheepdogs in the United Kingdome. Vet Rec 146:214.2000. Guaguere E, et al: Familial canine dermatomyositis in eight Beauceron shepherds. In Kwochka KW, et al (eds): Advances in Veterinary Dermatology III. Butterworth-Heinemann, Boston, 1998, p 527. Hargis AM, Haupt KH, Hegreberg GA, et al: Familial canine dermatomyositis: Initial charaterization of cutaneous and muscularlesions. Am J Pathol. 116: 234, 1984. Hargis AM, Mundell AC: Familial canine dermatomysositis. Comp Cont Educ 14:855, 1992. Haupt KH, Prieur DJ, Moore MP, et al: Familial canine dermatomyositis: Clinical, electrodiagnostic, and genetic studies. Am J Vet Res. 46:1870, 1985.